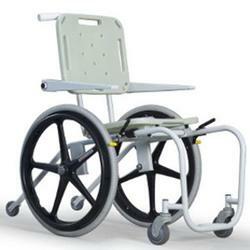 If you are looking for a lift for your pool or a wheelchair for the beach, you have come to the right place. We offer several pool and spa lifts to accommodate a variety of situations. And many wheelchairs to help you in any setting where there is water. Our selection combined with an expert staff and great return policy guarantees that you can make your purchase with confidence. Our wide selection of pool lifts feature both manual and powered pool lifts, as well as ADA compliant and spa pool lifts. These patient lifts can assist in the transfer in and out of indoor and outdoor pools, as well as in and out of hot tubs or hydrotherapeutic settings, such as at a spa. With Spinlife’s selection of pool lifts, transferring in and out of a pool has never been simpler. Make the outdoors as accessible to you as the indoors and enjoy summer with a pool lift or beach wheelchair from SpinLife. 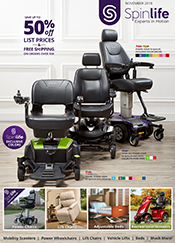 Never have there been so many choices of products to make outdoor living easier. With weight capacities up to 400 pounds and choice of permanent mount or portable, there is a lift for almost every pool or spa. Aquatic chairs have even more options with sand tires and umbrellas and weight capacities up to 500 pounds. With these features, the pool or beach has never been more accessible. 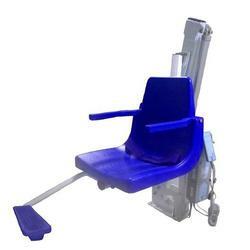 How do I buy a pool lift or aquatic wheelchair from Spinlife? Just configure your product online by clicking the "Build Online" button, or call our experienced SpinMaster product experts at 1-800-850-0335 to help you pick the perfect product today! These items are for recreational use and not considered "medically necessary" by Medicare. Because of this we are unable to bill Medicare. What happens if I need repairs or parts for my outdoor product? SpinLife is here to support you through the complete sale and this includes helping you with any problems that may come up after you receive your product. SpinLife honors all manufacturer warranties on the products we sell. Call us at 1-800-850-0335 and tell us what you need. If the part is covered by warranty, we will send it to you at no charge. If it is not covered by the manufacturers warranty, we will make it available to you at a fair price, like everything else we sell. What happens if I want to return my outdoor product? We here at SpinLife want you to be completely satisfied with your purchase. If your manual wheelchair arrives and it is not what you expected or needed, you can return it within 30 days as long as it is unused (tires are clean and no scratches) and in its original packaging. You would be financially responsible for shipping charges and a 15% restocking fee to return your product. If anything was customized at the time of order, then the order is nonreturnable. If the product arrives damaged or is not what you ordered, SpinLife will arrange for freight and for shipping you an undamaged or corrected unit.